The Saturday before last, I lost my mobile phone. At some point on early Sunday morning, the handset was turned off. Because I spend most of my time abroad, getting back up and running was less trivial than it would be for someone in their home country. Fortunately someone who happened to be travelling to Prague was able to bring a SIM with them and I was able to get an unlocked handset locally. Did I miss the phone? Yes and no. My main worry was disconnection and missing out on a call. The reality is that for most of the time I was near a internet connection, so I could be contacted on Skype or Lync via my laptop or iPad. Nothing urgent occurred fortunately. I did miss the satellite navigation on the phone and also the ability to easily order a taxi (e.g. with the Modry Andel app), but that was it really. I managed without a mobile phone for 4 days. I did say that I would not upgrade my devices back in October. In some sense, I’ve been forced to upgrade because I need a phone. 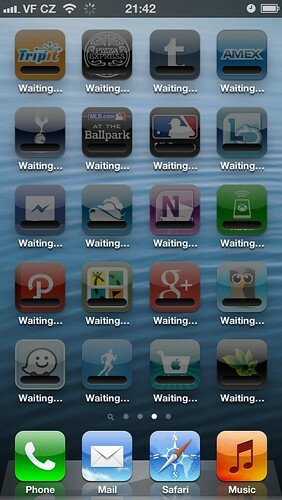 I could have restored from an iPhone backup but I didn’t – I started from scratch. I’ve moved my data (in this case, photos, music and contacts) back from the cloud very easily. It could have been a lot worse. These days we rely on these devices for a lot more than just the telephone. A mobile is sometimes people’s primary e-mail device, their music player and their boarding pass. 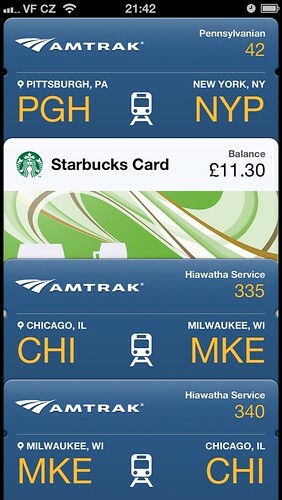 I was relieved to see that Passbook has been done properly as an iCloud application. My boarding passes are stored in the cloud along with my music and other data. Also there is a tendency to travel with less. On my iPhone 4 I had a cover which would also function as a wallet. Had I put my credit cards in the cover too, I would have been in a worse state. The iPhone 4 had served me for 2 years. I’m now in the possession of an iPhone 5 which is faster and has a much better camera. The erase message has been sent to the old phone. It’s one of those things and it could have been much worse.